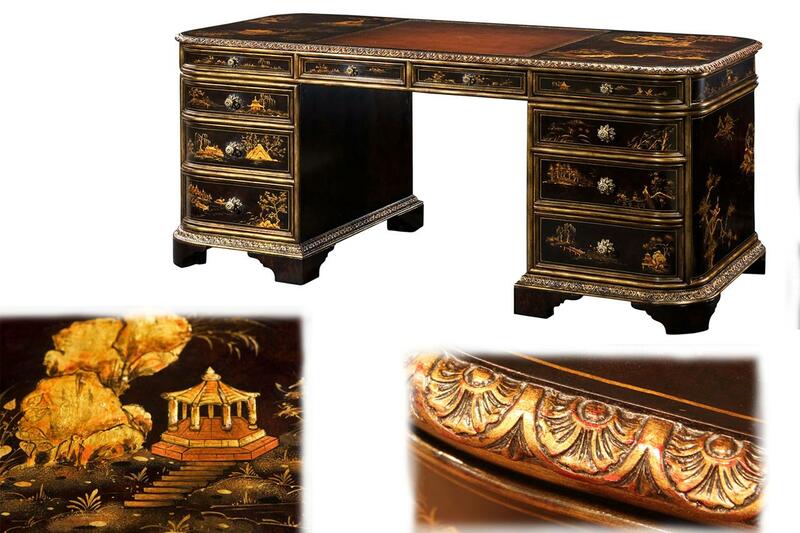 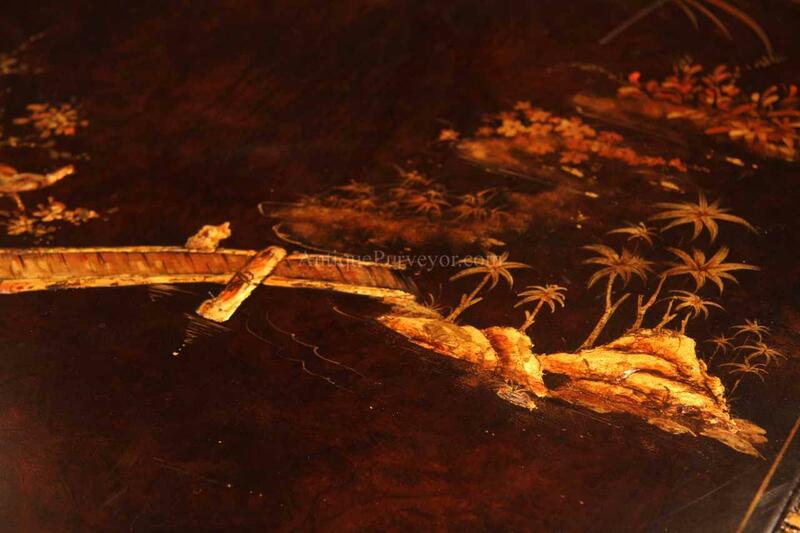 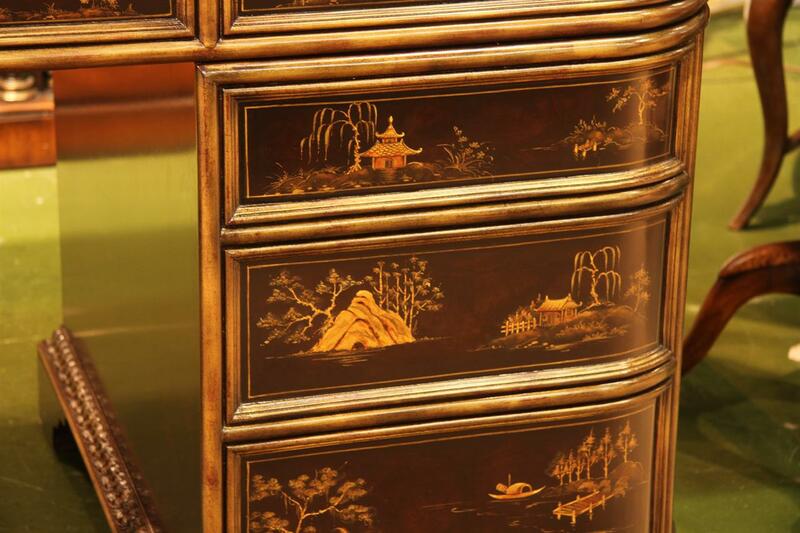 Beautifully detailed executive desk in the Chinoiserie style. 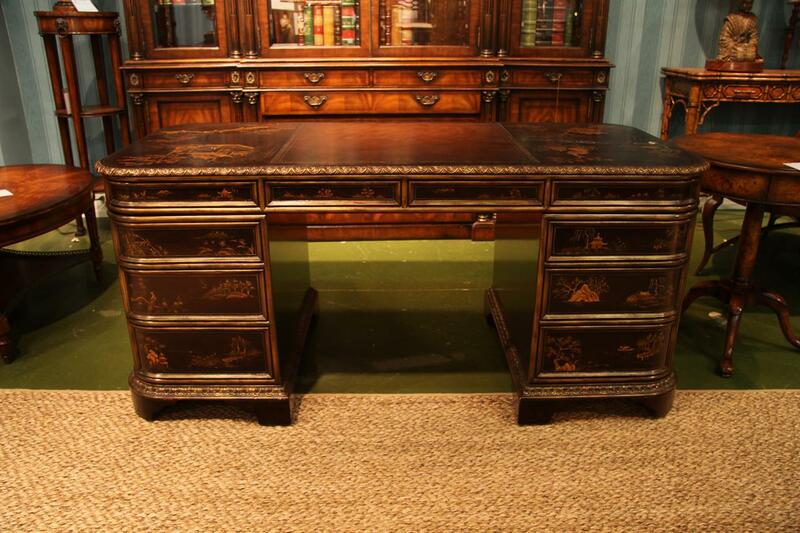 Chinoiserie style executive desk with leather top. 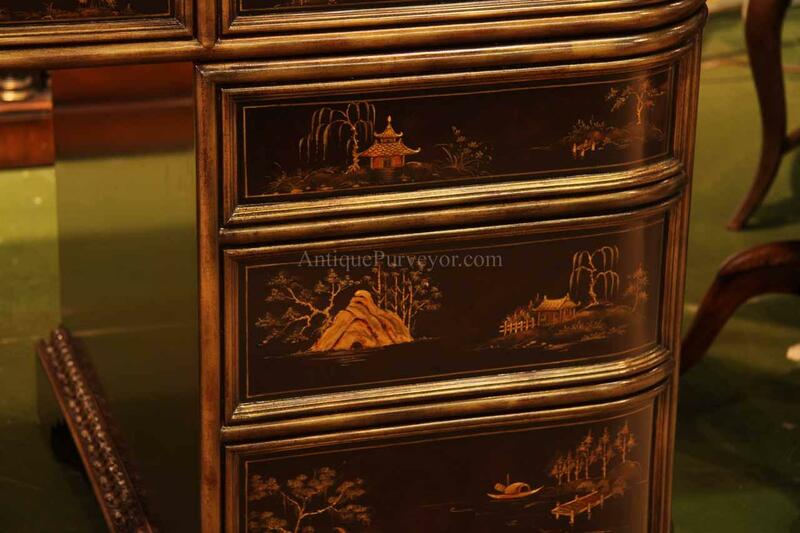 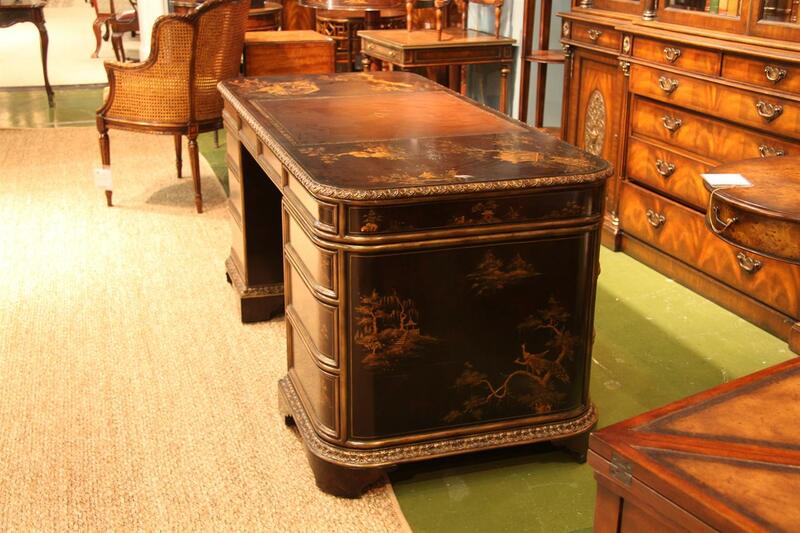 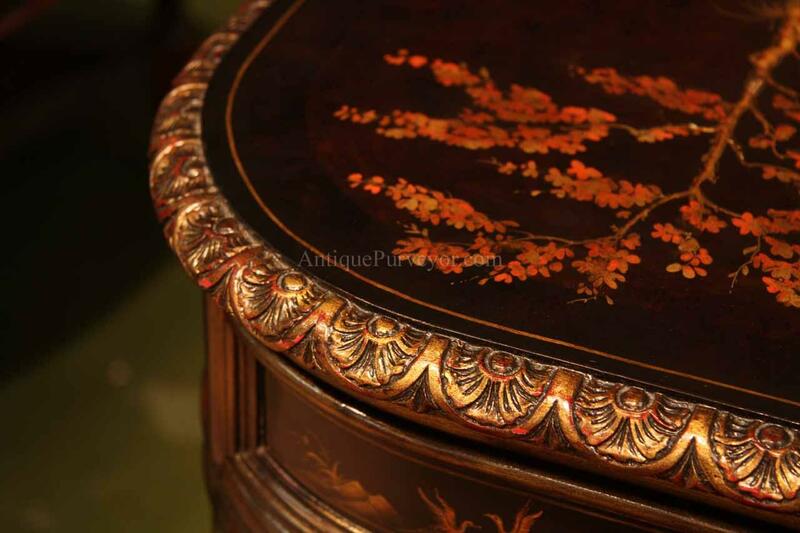 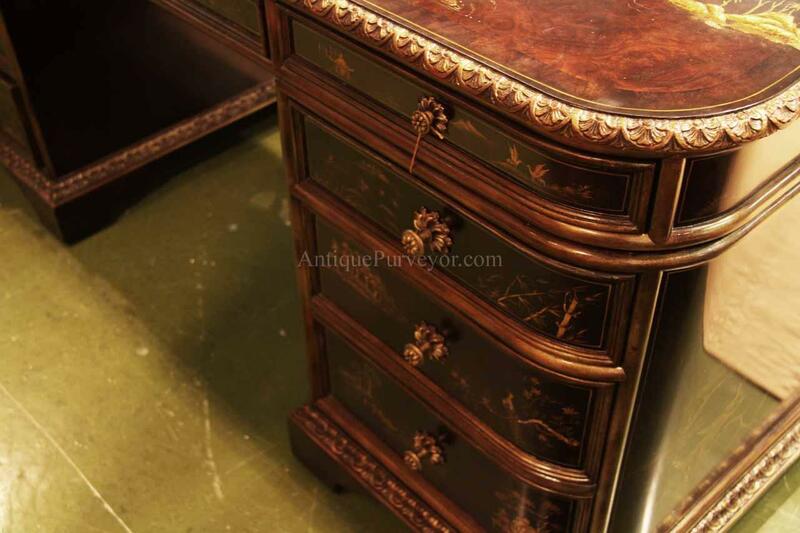 Description: Leather top desk with hand painted chinoiserie decorated drawers and pedestals. 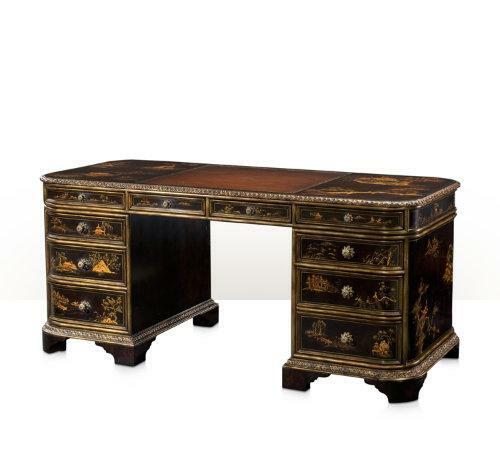 A high end ebonized pedestal desk for the higher end designer home with leather inset top. 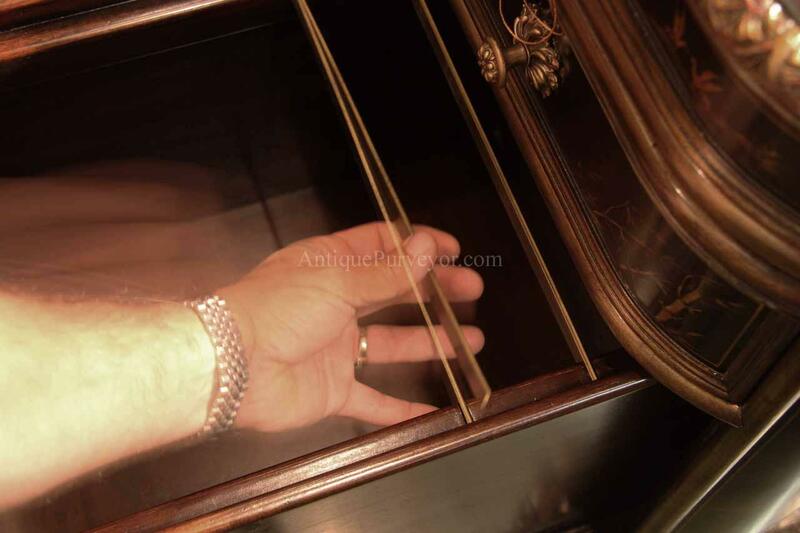 Legal and letter file holders on bottom right side of cabinet. 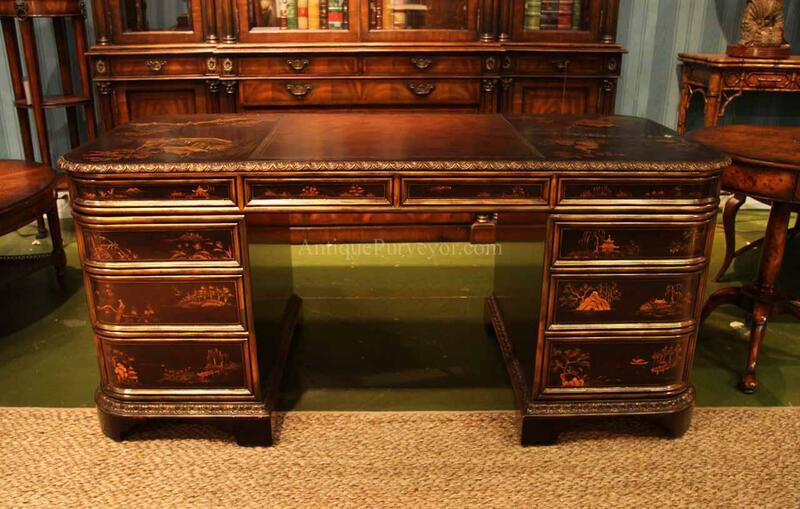 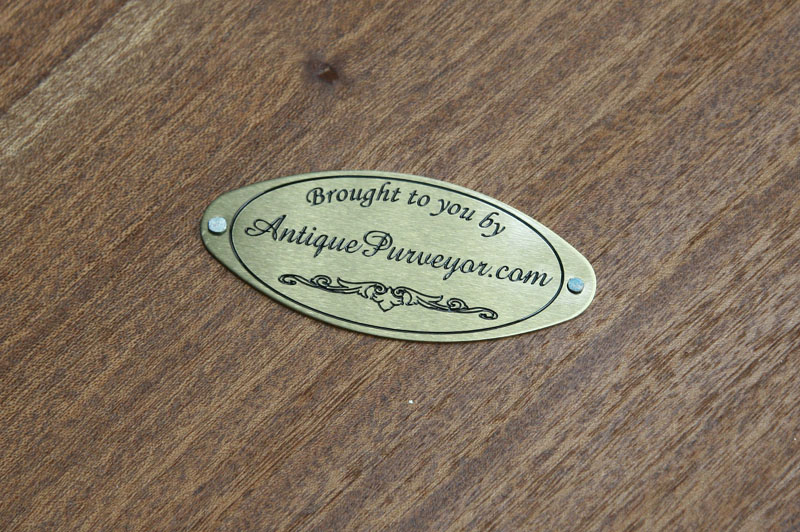 This is a quality antique reproduction desk in a Victorian style. 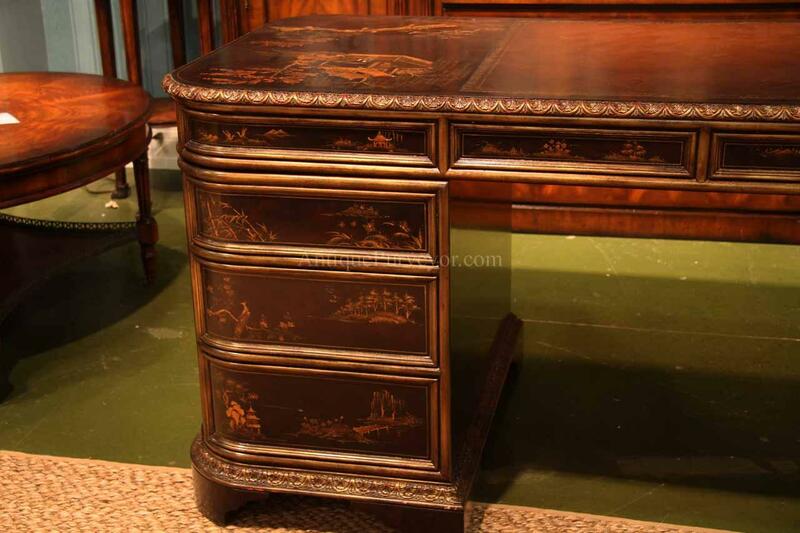 It is very heavy desk and sturdy. . 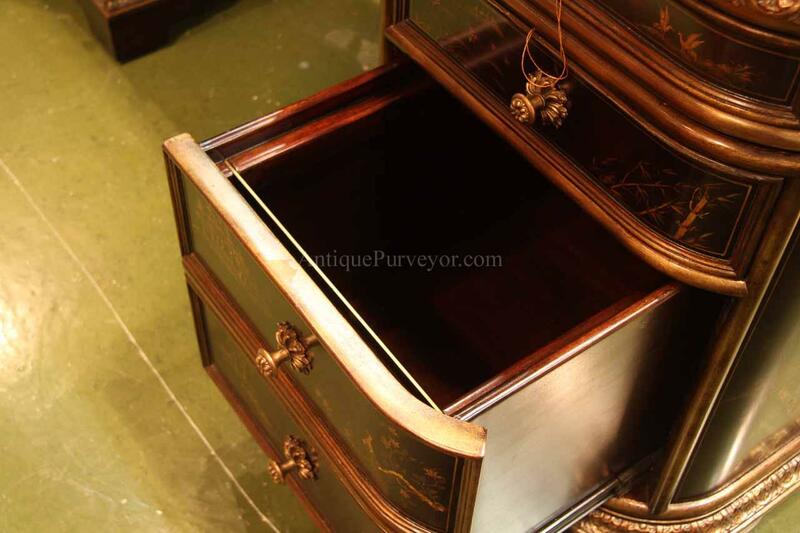 These are made to order, therefore we need 6 months lead time.